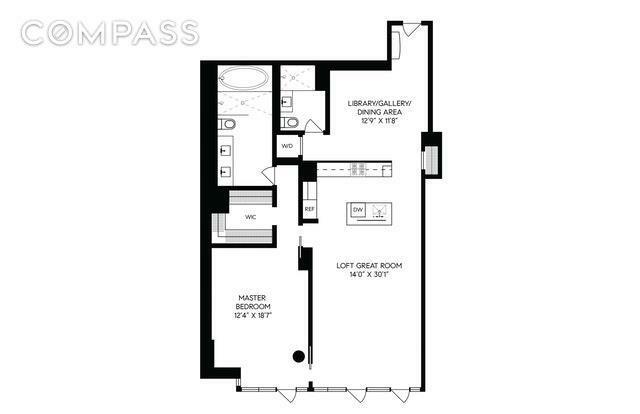 Located at the award-winning One Jackson Square, this oversized 1,289- square foot loft-like one bedroom, two bathroom condominium boasts an impressive 26-foot wall of windows and 10-foot ceilings which perfectly frames iconic West Village views. 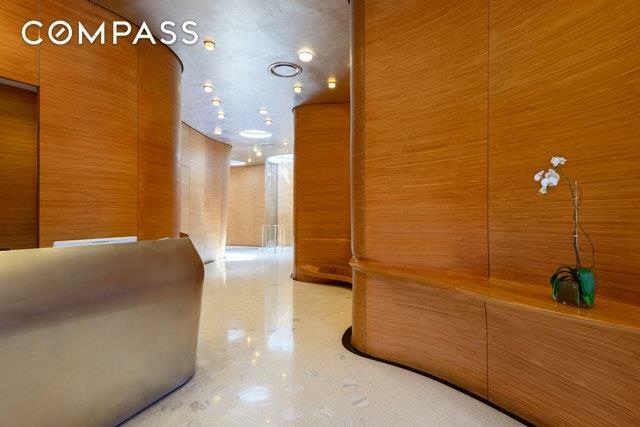 Past the foyer is the exceptionally curated dining area. With one of a kind finishes and custom millwork throughout, this thoughtfully designed space features ample storage, custom built-ins, and technology hubs which allows the space to transition into a fully functioning home office. A Molteni kitchen overlooks the expansive great room and features walnut and lacquer cabinets, Dornbracht fixtures, Corian counters, and Sub-Zero and Miele appliances.The generous master bedroom suite features a custom-built walk-in closet and pocket doors which allow for extra light to pour in through the homes expansive wall of continuous windows. The graciously appointed master bathroom is complete with double sinks, radiant floor heating, and a full wet room with soaking tub and shower stall. This home also features in-unit washer/dryer, central air conditioning, and a private deeded storage space in the building. 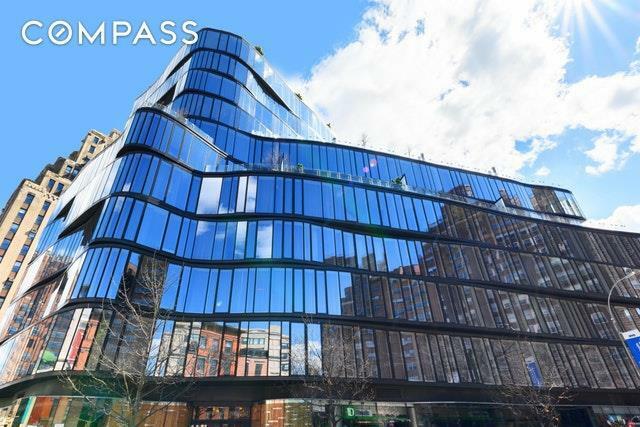 At the crossroads of the West Village, Chelsea, and Meat Packaging district lies One Jackson Square, one of Downtowns best full-service condominiums. 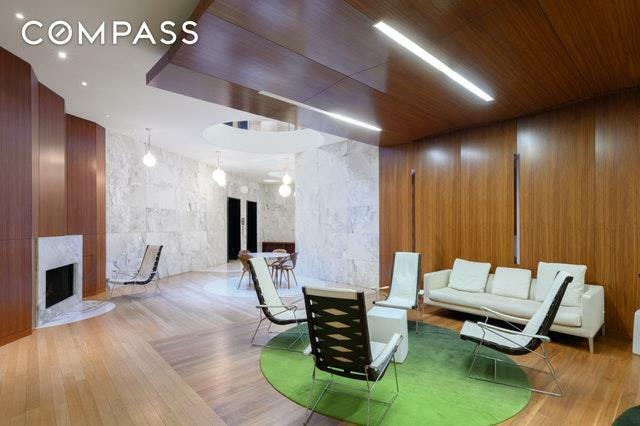 Designed by world-renowned architect Kohn Pederson and Fox, One Jackson Square at 122 Greenwich Avenue is the epitome of luxury accommodations and forward-thinking, eco-friendly design. The building's LEED certification made this the first Green building in the Village. Building amenities include a 24-hour concierge, fitness center, spa treatment room, lounge with gourmet catering kitchen, private storage, and a common landscaped courtyard garden. Listing courtesy of Jordan Caruso of Compass.